King Trumpet by Equine Matrix is the single mushroom species Pleurotus Eryngii. Recommended to use with MRM Matrix to help enhance its benefits to support inflammation and pain. 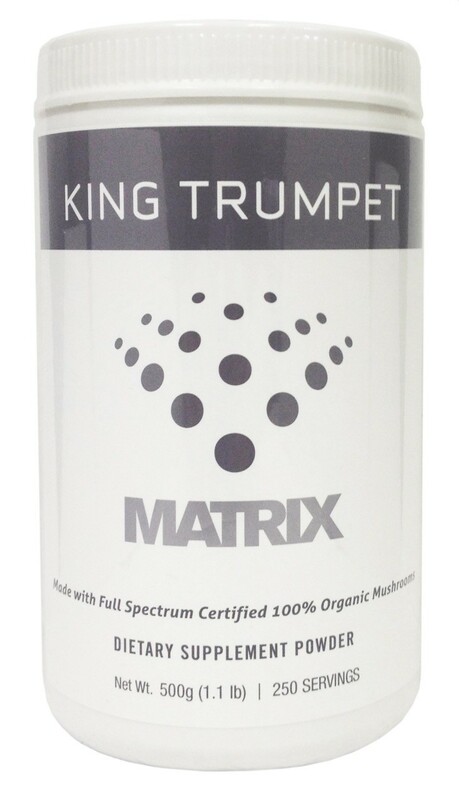 King Trumpet provides a natural antioxidant L-Ergothioneine to help against oxidative stress, it supports a healthy immune system, digestive health, bone strength, inflammation, circulation and Cholesterol levels. High levels of the antioxidant L-ergothioneine, a naturally occurring antioxidant amino acid is found in both the mycelium and fruit bodies of King Trumpet. L-ergothioneine is the only antioxidant that has been found to have its own cellular transport mechanism. King Trumpet is also been researched for its positive effects on cholesterol management and bone health.